What is a Life Cycle Assessment (LCA) Tool? How is MarineShift360 different from other tools?  This is a bespoke marine industry tool that provides a cradle to grave assessment of the materials and processes involved in yacht construction. You will be able to understand the full environmental footprint of your product across all stages of its life cycle. With data collected by marine industry experts, from a diverse mix both geographically and sector wide range of businesses in performance, production, rigging, sails, deck hardware. This tool measures 11 different environmental markers to provide a full environmental footprint of your product. The tool computes the distribution of the impact of your product across all its life stages. You will be able to see where greatest impacts lie across a number of parameters, including the ability to look in more granular detail. Ultimately, it allows the user to bring end of life thinking into the design stage and make a strategy to reduce overall environmental impact of the product. It measures global warming potential (kgCO2e), ozone depletion potential, acidification potential, non-renewable resource depletion, waste generation, energy consumption and waste production. If we can’t measure it, we can’t manage it. Select your material types and volumes and pick your processes from a database of over 200 entries that contain environmental footprints based on 30 years of boat building experience. Quickly assess and compare parts based on environmental footprint, not only during manufacture, but over every step of the component’s lifespan. Adjust inputs as necessary, take measures to reduce impacts, and make informed decisions at design stage. During the establishment of the 36th America’s Cup Class Rule, ETNZ (Defender) and Luna Rossa (Challenger of Record) were keen to include sustainability requirements in the construction of the AC75. The pilot version of the LCA tool was applied to a concept AC75. The results were used to assist authors of the Class Rule in mandating a series of sustainable construction methods for Rule 7.8 Construction of a hull must meet the first time in America’s Cup history. (f) a life-cycle analysis is performed on the hull to the satisfaction of the Measurement Committee. Jaguar Land Rover (JLR) has been using its in–house LCA ‘Rapid Tool’ for approximately 10 years. "The tool has supported savings of a few kgs of CO2 per vehicle through to material changes that reduce annual CO2 emissions by thousands of tonnes. The tool enables specific engineering targets to be set for key systems within the finished product helping to drive sustainable engineering within products. "Using the tool to identify significant CO2 reduction opportunities normally coincides with significant material cost reduction potential and the ability to compare different supplier solutions. The tool also helps us stay ahead of forthcoming legislation on life cycle assessment." Land Rover BAR piloted the test LCA model to assess the overall benefits of the alternative materials that were used in the build of their two docking RIBs. They wanted to understand the impacts of alternative sustainable materials, and worked with 53 apprentices in their construction. Flax fibres were selected for the floor panels, a core made from recycled PET plastic and a resin based on 50% bio-content. The docking RIBs, when compared to a ‘control’ RIB, showed a saving of around 1.5 tonnes of CO2 and a cost saving of around £1,500. Land Rover BAR was challenged by its Exclusive Sustainability Sponsor 11th Hour Racing, to evaluate the footprint of the production of its test boat. The model revealed that the mould was a key area of prioritisation with over 90% (measured by weight) of the materials used in the mould production. As a result, increased quantities of recycled materials are being introduced to future moulds and environmental and financial benefits are being measured. Additionally, a greater understanding of the materials has highlighted the importance of trials to recycle the composite carbon fibre, test recycleled fibres and natural fibres which could lead to significant costs and environmental savings across the build process.